“The government of the Maldives is disappointed, if confirmed, that the UK government is allowing itself to be part of this charade, and further, is enabling an individual to circumvent his obligations under the law,” the foreign ministry said in a statement last night. The Maldivian government has expressed concern with reports that former President Mohamed Nasheed has been granted political asylum in the United Kingdom. The opposition leader, who was serving a 13-year jail sentence on a controversial terrorism charge, was authorised to seek medical treatment in the UK last January following threats from the EU parliament and the UK of targeted sanctions against top government officials. Nasheed’s lawyer Hassan Latheef told The Maldives Independent that the former president was granted “political refugee status” by the British government on Thursday. 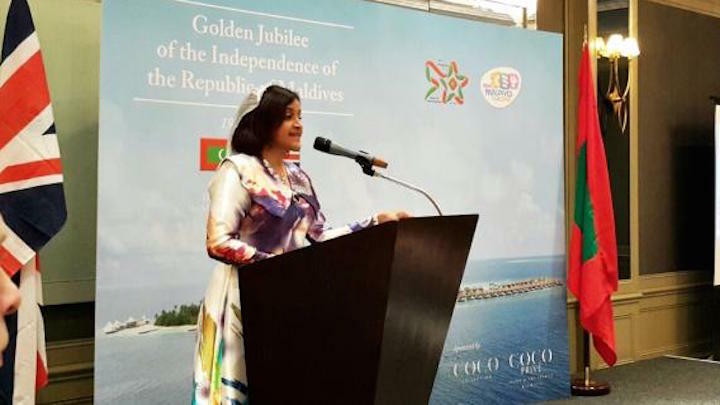 Foreign Minister Dunya Maumoon is seeking clarification from the UK’s Foreign and Commonwealth Office, the ministry said in a tweet last night. A British High Commission official in Sri Lanka meanwhile told Reuters that it did not comment on individual asylum cases. “Former President Nasheed was granted exceptional leave for a specified period of time so as to seek medical treatment that, as suggested by his legal team, was not available in the Maldives,” the foreign ministry statement continued. “This latest development clearly demonstrates that the intention was to seek to avoid serving his prison sentence, and thus again, the former President has once again exhibited a distinct lack of commitment to the legal process and continues to manipulate the process for political gain, believing that he remains above the law. 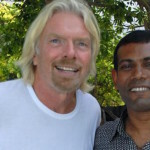 After arriving in the UK, Nasheed met with Prime Minister David Cameron and urged foreign governments to impose targeted sanctions on top Maldivian officials. He also appeared on CNN, BBC and Channel 4 to talk about his imprisonment and the recruitment of Maldivians by extremist groups. “This is not medical leave, but media leave,” she said. “In my 20s, I was tortured twice by the Gayoom regime. 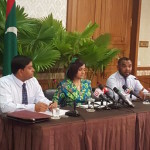 So I have chronic back problem,” he said, referring to long periods in prison during the 30-year reign of former President Maumoon Abdul Gayoom – Dunya’s father and half-brother of the incumbent president. Nasheed, a former dissident journalist and Amnesty International ‘prisoner of conscience,’ was previously granted asylum in the UK in 2004. He returned to the Maldives after 18 months in April 2005. Shortly thereafter, the government – under pressure to implement democratic reforms – authorised the formation of political parties and Nasheed became chairman of the nascent Maldivian Democratic Party and went on to defeat Gayoom in the country’s first multi-party election in October 2008. Nasheed was found guilty of ordering the “abduction” of a judge and sentenced to 13 years in prison. Pressure has been mounting on the government since a UN rights panel ruled in September that Nasheed’s imprisonment was illegal and arbitrary. In April, the US senate unanimously adopted a bipartisan resolution calling on the Maldivian government to redress the “injustice” of Nasheed’s imprisonment. 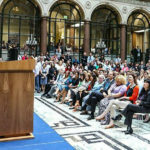 The Commonwealth Ministerial Action Group has meanwhile threatened to take action if the government does not take steps by next September to resolve the year-long political crisis.